State senators steered clear of any pointed questions on Thursday as they took sworn testimony from Pennsylvania Attorney General Kathleen Kane. Their silence was notable, considering the unusual move Kane made in December to hire outside counsel to review pornographic and offensive emails that had been swapped by state employees and others and were later discovered on her office’s servers. The review has state budget implications, with the contracted private lawyers charging the state between $200 and $900 per hour. The special prosecutor announced to run the investigation, former Maryland attorney general Doug Gansler, said it should cost the state less than $2 million. Kane’s office isn’t exactly flush with cash. Kane is asking lawmakers to approve a 5 percent funding increase on her department’s roughly $95 million budget. The governor is asking for a 1 percent funding increase. 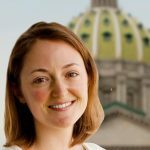 Members of the state Senate Appropriations Committee posed no questions about the “porngate” review. The closest any one of them came to scrutinizing the costs was with an inquiry by Sen. John Eichelberger, R-Blair, who wondered aloud that multimillion-dollar contracts for outside legal help must put pressure on the rest of the agency’s budget. “That is correct,” Kane said. A more confrontational tone would not have been out of the ordinary for the Senate’s Appropriations Committee. Earlier on Thursday, Sen. Pat Vance, R-Cumberland, politely grilled Community and Economic Development Secretary Dennis Davin about the firing of another GOP senator’s husband, Gary Baker, from his job at a regional department office. Days before, Sen. Scott Wagner, R-York, spoke sternly to Budget Secretary Randy Albright for not knowing the particulars of a school district’s finances. Sen. Bob Mensch, R-Montgomery, nearly shouted over Albright during an argument over education funding. Some of the raunchy emails being investigated by Kane’s hired guns have already been made public. 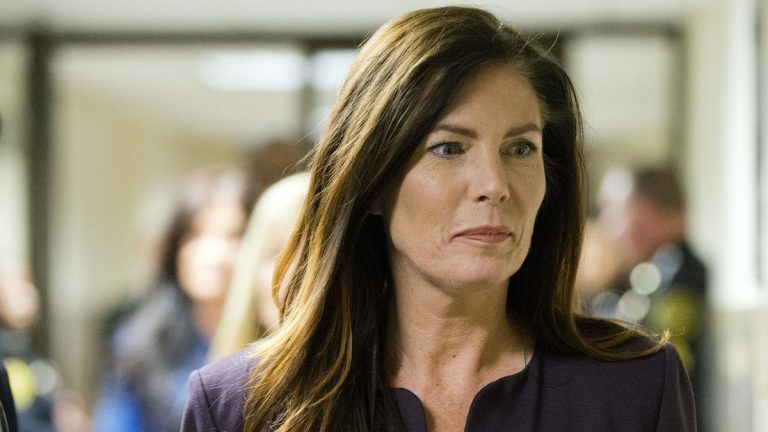 Kane began releasing select batches of the messages in September 2014, more than a year before she called for a comprehensive review by outside counsel. Dozens of state employees, from agents to justices, have lost their jobs or been disciplined for sending and/or receiving the emails.